Two properties spec built at Chase Falls were sold within a month of completion. Efficient, beautiful and ideally situated for enjoying what Sugarbush and the Mad River Valley has to offer, that was no real surprise. Two engineered lots remain, with underground power to sites, wells and leach fields installed. 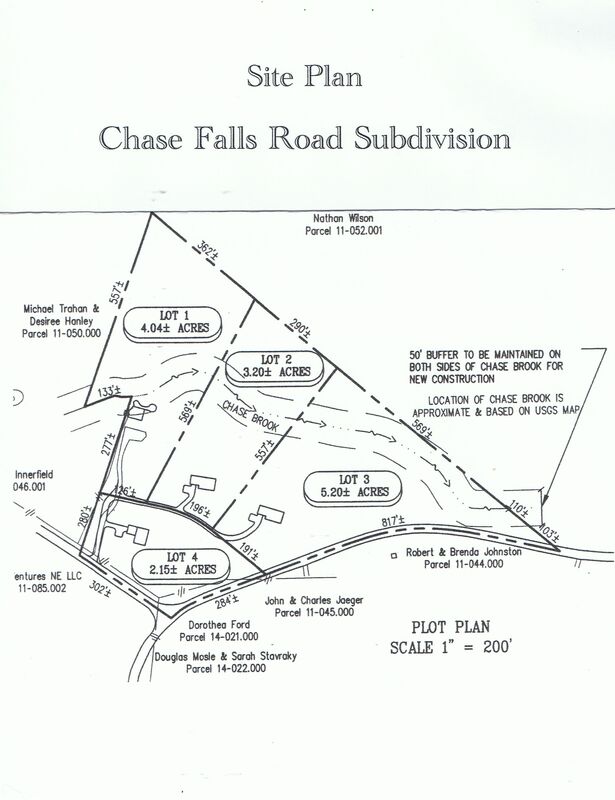 They are Lot 2 & Lot 3 on the Chase Falls Plot Plan. Both have direct access to the Chase Brook and the Mad Bus to all area ski resorts and the Mad River Valley floor. Lot 2 is more private and is available at $150,000. Lot 3 is larger and available at $125,000. We will also entertain build to suit projects in 2018 or 2019. If you want to walk the land or discuss a home design, you can reach us at 508.344.4959 or hshenry@gmavt.net.